A gas mask is a personal protective equipment (class 3 respiratory PPE) regulated by the EN140 standard for half-mask respirators and the EN136 standard for full face respirators. The most popular masks are RD DIN40 single filter gas masks with universal 40mm filters mostly because of their wide range of availaible filters. 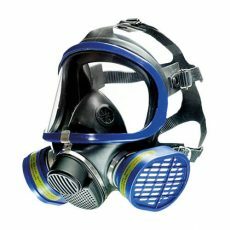 A full face respirator – also known as panoramic respirator – offer users a large field of view up to 98%. 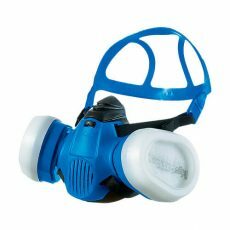 Even if they are heavier than a half mask respirators, they provide full protection of the breathing tracts (nose and mouth) and eyes as well which makes them safer. Thanks to their 5 straps, they can be equipped with filtering cartridges over 300 grams including complete particles and gas protective combinations like ABEK2-P3 filters which are the most common cartridges used in industry. As all the major gas mask brands provide RD DN 40 filters (with 40mm thread), we offer a very large range of filtering cartridges against volatile organic compounds (AX filters), acids (B or E filters) ammonia and its derivatives (K filters), mercury (Hg filters), iodine (REACTOR filters) and even protection against some carbon and nitrogen oxides (CO-NO filters). 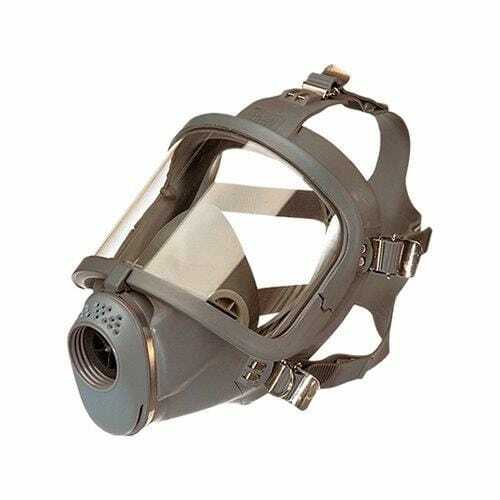 A dual filter gas mask is oftentimes chosen for its compact size and weight. 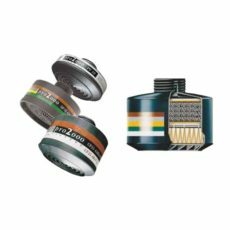 Filtering cartridges are mounted on both sides of the mask, which offers a large field of view and an optimal weight balance. This is beneficial to users doing detail work or long working hours sanding or welding. According to the mask type (half mask or full face mask), maximal allowed concentrations of toxic substances (gas or vapor) will be different – 50 times the OEL (occupational exposure limit) for a half mask respirator and 2000 times the OEL for a full-face mask respirator. The X-plore 5500 is a full facepiece respirator mask especially designed to provide its users breathing and visual protection against gases and particles. Equipped with a visor made of polycarbonate or triplex glass, the X-plore 5500 mask provides its wearer a large field of vision without distortion. The polycarbonate panoramic visor features a frame made of plastics and is highly resistant to shocks while the glass visor – with stainless steel frame – is treated against scratches and chemical products. The mask itself features a specific dual seal with triple sealing edges to offer optimal tightness and protection. The body of the dual filter gas mask is made of ultra-resistant EPDM elastomer that fits any morphology and face shape. This way, the mask remains comfortable to wear. Moreover, thanks to its unique standard size, this full facepiece respirator is easy to transport and to store. As it is a respiratory protective full face mask, steam can appear on the visor. In order to resolve this matter, the le X-plore 5500 is equipped with a special integrated ventilation system. This system has been engineered to protect the visor against any risk of condensation in order to ensure clear view in any situation. Thanks to its comfortable 5-point flanged harness, the X-plore 550 can be worn and removed easily and quickly. Moreover, its connecting straps have been especially designed to avoid pressure on the head or the face of the user. The X-plore 5500 dual filter gas mask features two connectors located on both sides to connect two air filtering cartridges. Furthermore, as the filters are positioned laterally and backwards, the field of vision of the user remains perfectly unobstructed. This breathing protection equipment is fully compatible with the X-plore series bayonet filters. These filters are especially designed to provide optimal protection against harmful gases, vapors and particles. Thanks to their bayonet connection system, they can be easily and quickly installed in order to operate as soon as possible. Half-mask respirator X-plore 3300 with innovative mounting system for optimal operating comfort. This Gas mask is fully compatible with the X-plore bayonet filter cartridge range. 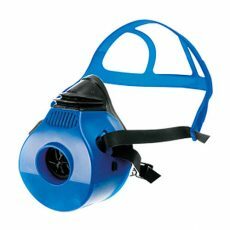 Available in three different sizes – S (small), M (medium) and L (large) – the X-plore 3300 half mask respirator has been designed to provide maximum comfort to its user. Made of soft material, this dual cartridge respirator features a specific design especially well-suited for use in addition to head protective units and safety goggles. Thanks to a soft and flexible nose area and the lateral location of air purifying filters, the X-plore 3300 gas mask provides its user with large field of view and optimal adjustment. Because of a specific X design of the harness, this dual cartridge respirator is very easy to don and to remove and fits perfectly with the user’s face. Moreover, this harness allows better weight balance and enhances comfort of use without pressure. Particularly cost-effective, the X-plore 3300 half mask also features reduced maintenance. The right choice for operators who need comfortable respiratory protective equipment at lower prices. Finally, the X-plore 3300 respiratory protective half mask respirator is made for use with the X-plore series bayonet filters. This filtering cartridge range combines air purifying power to modern design for an optimal comfort of use. Thanks to their rugged plastic design, these filters are highly resistant. The X-plore 6300 is a respiratory protective full face respirator. Cost effective, this is an ideal solution for industrial applications, providing users comfort and air purifying performance. The X-plore 6300 single filter gas mask is a respiratory protective device that has been especially designed for use in industrial environments. Made of ultra-resistant and hypoalergenic EPDM elastomer, this full face respirator features a dual airtight seal for maximal reliability, comfort and safety. Cost-effective, this mask fits perfectly in any morphology and any face shape witout annoying its wearer. The large facepiece visor is made of PMMA plexiglass (polymethyl methacrylate) and features a plastic frame to offer a large 180° field of view without distorsion and an outstanding panoramic view. This visor is also especially treated to be scratch resistant. Moreover, the X-plore 6300 mask is equipped with an integrated ventilation system in order to avoid presence of steam and condensation inside the full facepiece. Thanks to its universal size and its 5-point specific harness, this respirator is very easy to don and to remove. The special design of its donning straps avoids any pressure on the head or the face of the user. This way, the X-plore 6300 can be worn during long periods of time without annoying the user. taille. Furthermore, thanks to this standard size and its low weight – approximately 500 grams – the X-plore 6300 single cartridge respirator is easier to carry and to store. 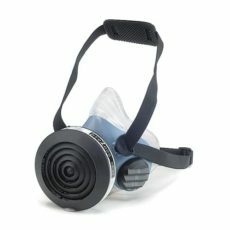 Lastly, this respiratory protective full face respirator is fully compatible with X-plore Rd 40 series filters. These filters feature universal 40 mm connector threads in compliance with the EN 148-1 European standard. These filters are especially designed to purify air from any contaminant that could be harmful for the user. This filter range provides reliable and efficient protection in any situation against toxic substances – gas or particles. Thus, the X-plore 6300 single filter gas mask can be equipped with a particle filter, a gas filter or a combined filter to respond to any demanding application. The X-plore 3500 dual filter gas mask is a respiratory protective unit that combines comfort, protection and durability. Especially designed for use with the X-plore series bayonet filters. The X-plore 3500 half face respirator is an air purifying device which allows its user to evolve in environments that may contain hazardous concentrations of gas or particles. Combined with the X-plore series filters, this half-mask offers optimal tightness and protection against harmful gases, vapors and particles. Thanks to the specific design of this breathing protective device, it provides its wearer optimal comfort and perfect balance of the filters weight. As the filters connectors are located on both sides of the mask, user benefits from a large field of vision. Made of a soft and innovative material, the X-plore 3500 half face respirator is the perfect combination of respiratory protective filters performance and hypoallergenic material resistant to chemical agents. Moreover, thanks to its X shape straps, the X-plore 3500 is easy to don and to remove and is perfectly well-suited for use with other personal protective equipment such as safety goggles or helmets. Because of its unique design and a neck clip, the X-plore 3500 respirator can be easily removed from the face without removing other PPE. Available in three different sizes – S (small), M (medium), L (large) – this respiratory protective half mask was engineered to fit with any morphologies and faces without pressure for the user. 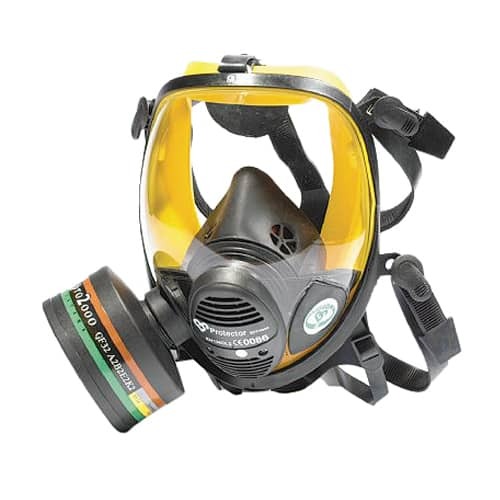 The X-plore 4700 is a single filter half mask respirator especially designed for optimal protection and airtightness. 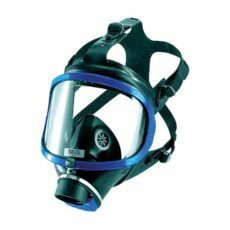 The X-plore 4700 half-mask respirator has been especially designed for use with EN 148-1 compliant Rd40 filters and with the Rd90 specific filter cartridges. These filters feature a universal thread for easy connection to a full gas mask or a half-mask in order to provide maximum safety. Thus the single-filter gas mask is particularly well-suited for use with gas, particulates or combined filters (against both gases and particles). The X-plore 4700 is available in two high quality materials versions to fit everyone. This way, the TPE version is made of thermoplastic elastomer – for paint applications – is well suited for people with normal skins whereas the gas mask version made of silicon is more relevant and comfortable for people with sensitive skin. Thanks to its unique Drop Down system, the X-plore 4700 single filter gas mask can be quickly and easily taken off without removing other personal protective equipment such as helmet or safety googles. 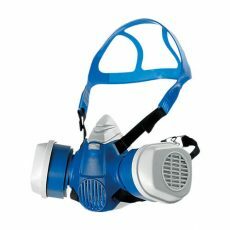 Indeed, this half mask respirator features a neck hook allowing its user to release the mask downwards. The head harness and the nose area have been especially engineered for optimal comfort of use and maximum airtightness. Moreover, the X-plore 4700 single filter gas mask features adjustable straps to fit any face shape and any morphology without annoying its user. PRO2000 NO & CO combined filter for full-face mask is the world most efficient air purifying protection against gases and particles.